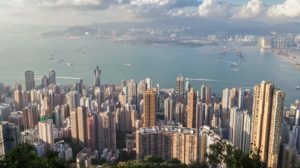 If you’re from the UK and you’ve been working hard in Hong Kong to build up your estate and assets, it can be frustrating to find that your beneficiaries may face a substantial Inheritance Tax (IHT) bill after your death. Nobody wants to pay more tax than they should, and when it comes to IHT the figures can be sobering. In 2012/13 over £3.8 billion in inheritance tax was paid to the UK government. The team from The Fry Group has shared some some useful financial advice with us for British expats on the topic of inheritance and estates. Who is liable to IHT? Many people are unsure if UK IHT rules apply to them. The key here is the concept of your domicile (not residence as many people believe). Domicile is a complex subject, but at its simplest it refers to your homeland. There are two types of domicile: domicile of origin and domicile of choice. A domicile of choice can be established if you can demonstrate that you have severed all connections with your “homeland” and established permanent ties elsewhere. A domicile of origin is hard to displace, and if you move again your domicile of origin will revive until you establish a new one. If you are domiciled in England, Wales, Scotland or Northern Ireland, IHT applies to your global assets. If you are domiciled elsewhere, IHT is charged on your assets held in the UK. Everyone is entitled to make a certain proportion of gifts tax-free; this is known as the “nil-rate band”. Currently, it is £325,000 and will remain so until 2020/21. Any excess above this band is charged at 40 percent. Most homeowners are automatically inside the IHT net even before taking into account the value of their investments. Yet it’s possible to reduce your exposure to this punitive tax; indeed IHT can be viewed as something of a “voluntary” tax as its impact can be mitigated. If you have substantial assets, but don’t want to relinquish control over them or make gifts, you can still reduce any IHT burden through effective planning. Making sure you have a will in place and how this is structured can impact on your IHT liability. For example, married couples and civil partners can “double up” their nil-rate band entitlements; this means that up to £650,000 can automatically pass free of IHT. One of the biggest misconceptions with estates is, “The other half gets it all if something happens to me”. This isn’t always the case! Children under 18 cannot inherit sums of money or property, so it makes sense to appoint somebody you trust to do this. If you don’t, the courts will appoint somebody for you. As an expat, you may have assets in different countries; all these assets have to go through the courts of the different jurisdictions. If they’re not organised efficiently through a will, this can take a very long time – what impact might this have on your loved ones? As with all areas of financial planning, it’s important to seek independent financial advice to ensure that you make the best choices. This article first appeared in the Oct/Nov edition of Expat Living magazine. Subscribe now so you never miss an issue! 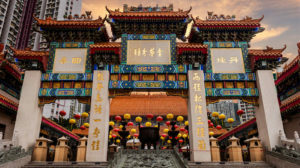 Check out our Living in Hong Kong section for more advice and tips.